Why is virtual reality great for parties? If you have an upcoming party, incorporating virtual reality (VR) technology is a great way to create an amazing guest experience. 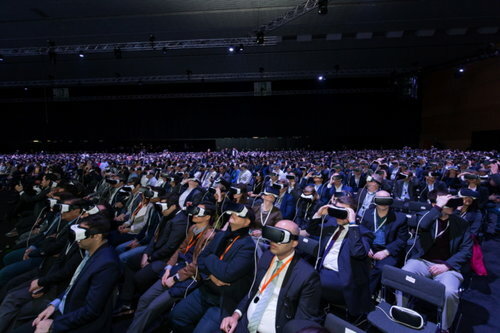 As the most engaging event entertainment on the market, virtual reality has the power to take your guests to a completely new virtual world while showing them that you are a fun, tech-forward company that knows how to have a good time. Most importantly, VR is fun, and by bringing our virtual reality technology to your party, you are ensuring that your attendees are going to have a good time and that they will never forget your next party. What are the Benefits of Bringing VR To My Next Party? We’ve worked with top companies to bring VR technology to events, and in each case we’ve focused on helping them reach their specific event goals. There is no one-size-fits-all approach. Having said that, we have seen a number of benefits that have translated between events. Many companies who use VR for their parties experience increases in attendance, brand awareness, and revenue/sales. This is because the presence of VR at your party gives you an unbeatable combination of: 1. FOMO; no one wants to miss out on a virtual reality experience, especially when their friends, family, and/or coworkers are going to be talking about it even after the event ends, 2. Social sharing; VR brings people together and allows them to experience something completely unique. Brands have come to expect VR to incentivize people to share their experience on social media. 3. Revenue/sales; This one is easy. When you bring VR at your event, people perceive a higher value for your event, immediately increasing the expectations for the type of experience your event is going to be. While these are some of the most common benefits, we have heard back from our clients with many different positive effects of bring VR technology to their events. Our goal is to make you and your guests happy and our extensive experience planning corporate parties helps us make sure we’re delivering the benefits that are most important to you. At VirtualRealityRental.co, we have experience creating VR experiences for a wide range of events, and we can accommodate a wide range of party types. Whether you are showing your festive side at your next holiday party, creating connections at a networking event, or entertaining your VIP partners, we can help you create the perfect party experience. Here are some of the types of parties we’ve brought VR to already. If you don’t see your next party type here, don’t worry, one of the powerful aspects of VR is it’s flexibility, and we’re ready to fit our technology to your specific event needs. Want to get people talking? Turning your guests into space pirates, letting them climb Mt. Everest, or having them walk on the edge of a skyscraper should do the trick! The best way to loosen up an audience is to share a VR experience that gets people talking immediately. The holidays are a great time to bring your team together and virtual reality can help make sure everyone has a great time. Whether you’re ringing in the new year, or just want to bring your employees together for a fun experience, VR is the way to go. Is your conference about to start? Get the energy levels up from day one with an exciting virtual reality experience. 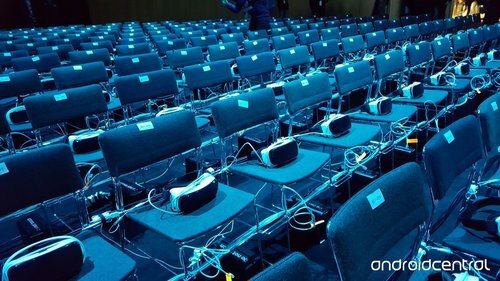 If your conference is ending, VR is still a great choice! Your attendees aren’t likely to forget the time they got to explore the ocean depths before heading home. Launching a new product is always an exciting time. We can help you celebrate in style with a VR experience customized to your specific needs. No matter what new offering you have for your customers, we have the perfect virtual reality experience for you! 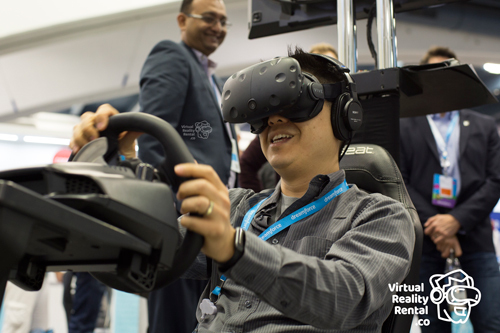 Show your VIP guests that you are a cutting-edge, engaging company by bringing the absolute best in VR technology to your next event. Our professional staff has extensive experience in corporate events and understand how to make sure your guests are having a great time. We know your customers are important to you. Let us help you show them that you appreciate their support by delivering a virtual reality experience that they will never forget. VR is a great way to allow your customers to interact with your brand! At VirtualRealityRental.co, we have a huge library of VR experiences to choose from. No matter what your party theme is, we can build the right experience for you. With so many experiences to choose from, we can get very creative in figuring out what works best for your guests. We can develop an experience that has your guests feeling relaxed and awe-inspired, or we can really drive the energy with some heart-racing experiences. It’s completely up to you! Get out and explore! Or more exactly, Stay in and explore! Virtual reality has the ability to take you anywhere in the world from the depths of the ocean all the way to the peak of Mt. Everest. If you want your guests to travel to the most exciting places in the world through VR, we have some great options for you. In the Mt. Everest VR experience your attendees will feel what it’s like to be a climber on the the highest peaks in the world. Are you hosting a party full of sports fans? With our VR technology you can give your guests the ability to experience what it’s really like to be a top-level professional athlete. Sports experiences are great for fostering a fun sense of competition at your next event. Who’s really the best quarterback? Who could play in the NBA? Now you can find out! We’ve all wondered, when the zombie apocalypse comes, how long can you last? Some of the most exciting, hair-raising experiences in virtual reality have been designed specifically to answer that question. We promise your guests will never forget their first time taking out a zombie horde in VR! One of the most awe-inspiring aspects of virtual reality is its ability to take you to somewhere that’s only limited by imagination. It only makes sense that the most innovative event entertainment technology would allow you to travel through space and into the future. Whether you want your guests to discover new worlds or imagine our own future, VR can make it happen. One of the most unique experiences in virtual reality, when you fly in VR, it’s an experience you don’t forget. Whether your guests are piloting a supersonic jet or experiencing their new virtual environment with their own power of flight, they are going to be having a great time. Do you want to go fast? We can make that happen. Sit inside high-end sports cars and find out what it’s like to push the pedal to the metal. Our racing experiences have been a favorite of guests at corporate events and we expect that to continue. We have a large amount of racing experiences ready to go! Your guests want to test their lightsaber skills. They want to feel what it’s like to pilot an X-wing. Let’s make it happen! Star Wars VR experiences are the perfect addition to any Star Wars themed party and we can promise your guests will have a great time stepping into character. Be careful though, we’re not responsible for how your attendees decide to use the force. 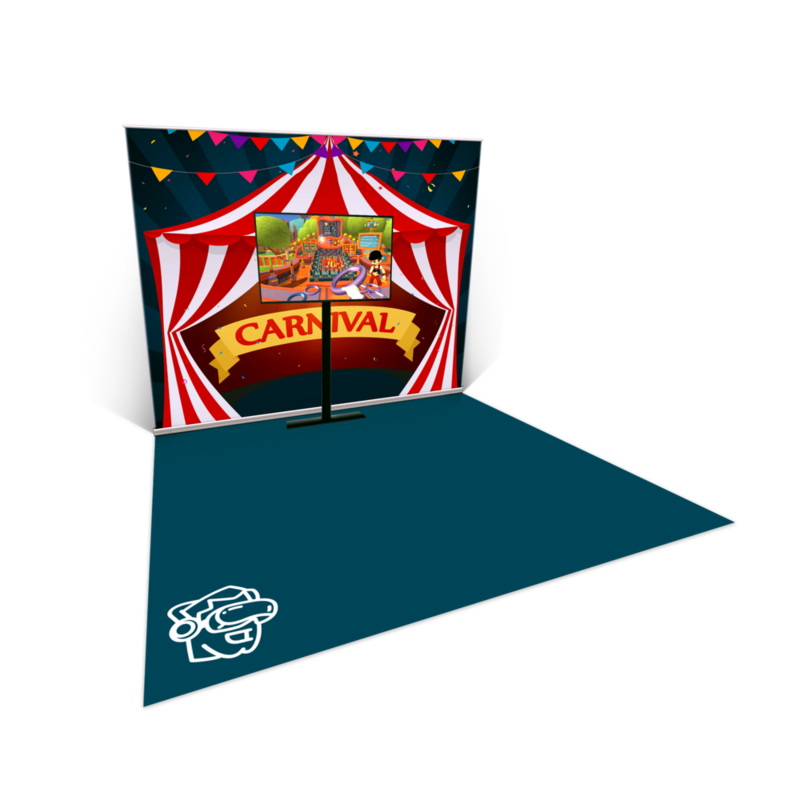 Mini-Games are great for parties where you want guests to have a really fun time while making sure as many people as possible get to participate in the VR experience. Let your guests challenge for the high score in anything from a classic game of ring toss to our VR Fruit Ninja challenge! Give your guests the freedom of the open range, a six-shooter, and the best cowboy hat money can buy. Whether you party is full of outlaws or lawmen, your guests are going to love the virtual reality wild west experience. If you want your attendees to have an exciting experience in some amazing landscapes, this could be a perfect fit for you! Below, we've included some of our favorite VR experiences, real-world examples of VR event spaces, individual benefits of VR, a mock-up of your event space, and even some feedback from our customers. 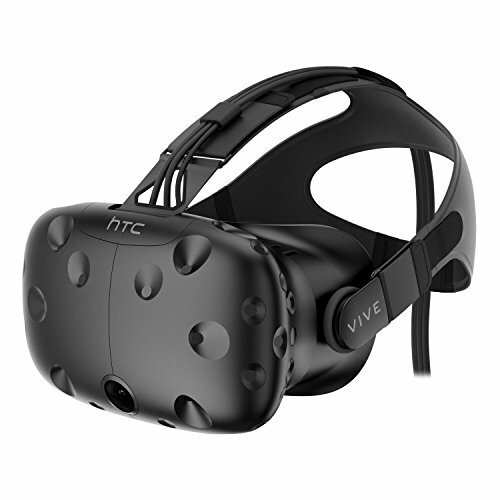 Plus, if you're looking for more info on specific virtual reality experience packages, we've made that easily accessible here as well. Let's get started! For a more in-depth look at some of our top VR experiences, we've put together a few examples of how our most popular games impact your event. This includes: a mockup of your event space, videos showing VR gameplay, benefits specific to each experience, a full breakdown of the rental, and even customer reviews who also brought VR to their conference. If you want to get to know which of our VR options is best suited for your event needs, this is a great place to start. What types of VR do we offer? Now that you’ve seen some of our favorite, and most popular, VR themes and experiences, the next step in preparing for your event is deciding what type of virtual reality technology best fits your party. We offer two types of VR: Room Scale VR and 360 VR. While both of these options offer a really fun VR experience, there are key differences between the two. While Room Scale offers the most immersive experience on the market, 360 VR is a great option for a more relaxed virtual experience that allows your attendees to sit back and take it all in. Virtual reality can be anything you want it to be, and finding out which technology is right for you will help us start to plan your perfect guest experience. 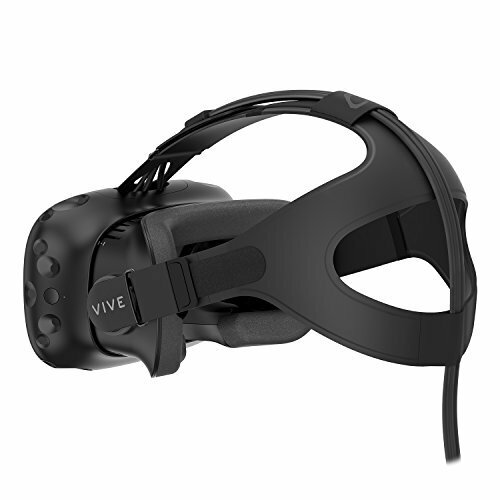 The following sections will tell you everything you need to know about both types of VR we offer, and help you decide which type is right for your party. Room Scale VR is the most cutting-edge virtual reality technology available on the market today, and also the most immersive. In Room Scale VR, you are able to interact with objects in your virtual environment, so if you see something in front of you, don’t just watch! Pick it up! This type of virtual reality is the absolute best for giving your guests the feeling that they are in a different world entirely. Plus, your guests will able to move around in their virtual environment, so they will need some space to explore. Most experiences call for an 8-foot by 8-foot area, though there are a few that allow for a smaller 6-foot by 6-foot space. Room Scale VR incorporates the most advanced VR technology and is easily the most innovative event activation available today. 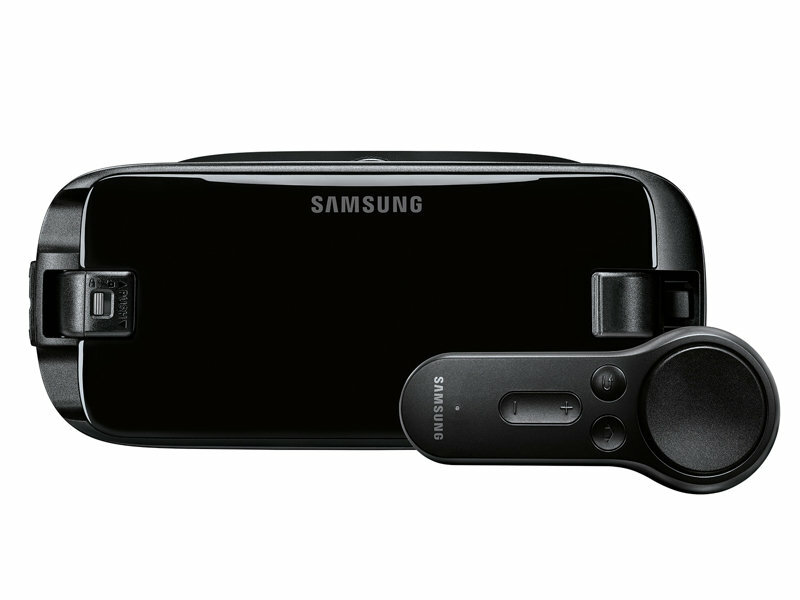 Your guests will use special motion-tracked controllers in order to control objects in their VR experience. While only one person can use the VR equipment at a time, you don’t have to worry about leaving any of your other guests waiting for long. We can manage the experience to allow for a quick turnaround, giving everyone an opportunity to play. We can also easily output a video of the guest VR experience to a TV or LED wall. This lets your other guests engage with the experience even when they aren't actually in it, and it also helps attract onlookers who will definitely want to take part. For parties where your attendees will be seated, or where you need to get a giant VR experience using a small space, 360 VR is a great option. Some of our favorite 360 videos are ones that put the guest in a real world space, allowing them to see it from a new perspective. Some of these experiences include Mt. Everest, relaxing beaches, major cities, and even looking down at Earth from space. Of course, we also have large number of games and puzzles you can choose from as well. All in all, we have over 30,000 360 VR experiences to choose from, and we’re sure we can help you find the perfect one for your party. On our end, we will provide each headset pre-loaded with the content chosen for your party as well as a VR technician who will make sure all of your headsets are working at top quality while also helping your guests have a fun, seamless VR experience. What we need from you is access to power and an area with tables and chairs. Additionally, we suggest having a 48-inch round table for every three or fours you have for your guests. We have designed our rental packages to include everything you need to deliver the best VR event experience to your guests. They include not only the necessary virtual reality equipment, but also the pre-event planning and event staffing that will take your event to the next level. Because we have built these packages based on extensive event experience and customer feedback, we’re confident that we have a great option for you. Of course, if you don’t see what you’re looking for, but you still want to have VR at your next party, give us a call! We’ll be happy to discuss a more customized experience that meets your event needs. Whether you are interested in an existing package, or you want to discuss a more customized experience, we look forward to helping you build the perfect VR experience for your party. 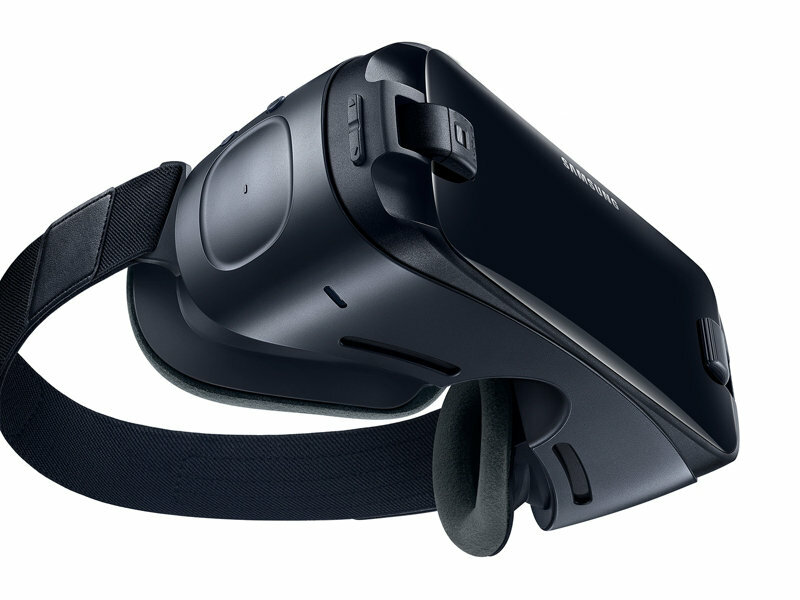 Latest Gear VR Headsets With Upgraded, Sanitary Face Pads. Considering how new virtual reality technology is, we understand that you might not have brought VR to one of your parties yet. At VirtualRealityRental.co, our goal is to make your entire VR rental process as easy as possible. Our team of experts will work with you from day one to understand every angle of your party in order to build your perfect guest experience. Our process can be broken down into three distinct steps: the pre-event strategy phase, equipment rental, and staffing your party with professional VR technicians. 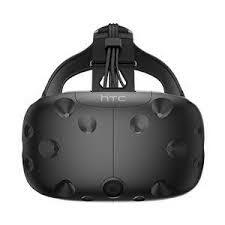 At VirtualRealityRental.co, we pride ourselves on being the best virtual reality partner for corporate parties. No matter what type of party you’re hosting, whether it’s a holiday celebration or an important milestone, we focus on making sure you have a fun, engaging VR experience that perfectly matches your event. Combining years of VR event experience with the best in virtual reality technology, we offer an unmatched party experience for your guests and a seamless, professional rental process for you. We have developed VR experiences for many types of parties including: conferences, employee engagement, VIP experiences, holiday, networking, employee appreciation, and more. Our focus is on turning any party into an unforgettable event that will have your guests talking long after your party ends. Our ability to provide world-class VR party experiences for your guests, while promising a seamless planning experience for you, comes down to a few key factors, with our staff coming first. 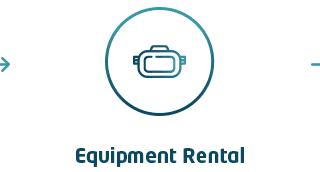 Our team at VirtualRealityRental.co has over 20 years of experience working in the VR field, and all of our VR technicians have received full training on how to setup, maintain, and breakdown all of our VR equipment. Additionally, all of our on-site experts understand how to deliver each of your guests a great experience while guiding them through your chosen virtual reality experience. Of course, another important aspect of what we offer comes in our extensive library of VR experiences. With over 40,000 360 virtual reality experiences, and more than 4,000 room scale experiences, we are confident that we can find the perfect fit for your party. Plus, even if you don’t see what you want, we can build a custom experience that matches your specific party goals! We all know that there is significant buzz surrounding virtual reality, and that VR can result in really fun guest experiences. However, not many can tell you exactly how specific VR experiences can fit different aspects of your next party or how to plan your VR event to really drive guest engagement. That’s where we come in! Our comprehensive planning process allows us to make sure you don’t just have VR at your event, but that the virtual reality experience is perfectly matched to your next party. Contact Us Now To Bring Virtual Reality To your Next Party!